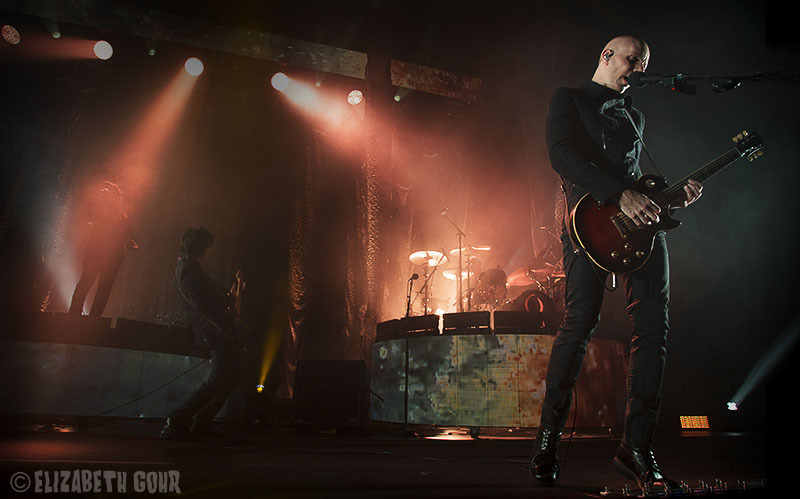 A Perfect Circle Returned to the concert stage on a Thursday night to play a rousing set to a sold-out audience at The Bill Graham Civic Auditorium. The band had recently regrouped after a long hiatus, yet they showed no signs of rust as they effortlessly played songs from their entire discography. 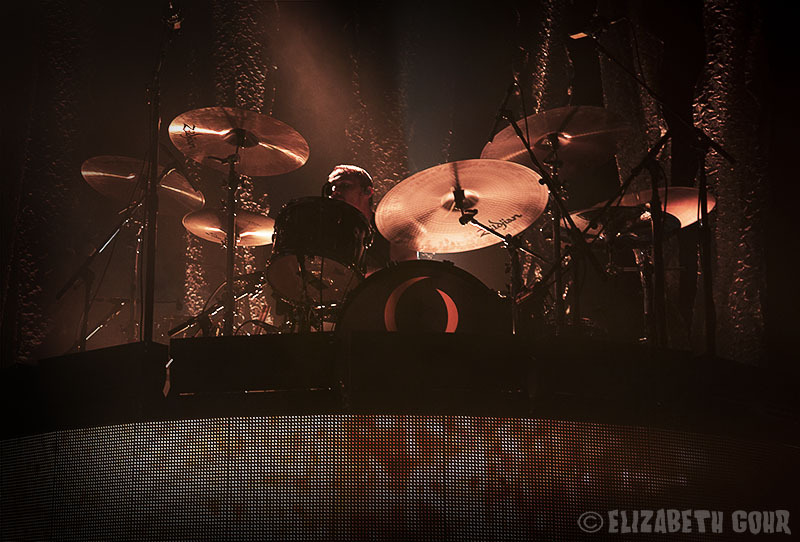 What makes A Perfect Circle stand out is the combination of Billy Howerdel’s textured guitar playing, blending crushing heavy metal with dark gothic rock, and the incomparable vocal stylings of Maynard James Keenan, known for his work as the lead singer of Tool. To open the show up the band played the lead off track from Thirteenth Step, “The Package,” as a large white, translucent piece of cloth hanged in front of them, covering up the stage as their silhouettes were projected onto it. The song rides a pounding drum beat from Jeff Friedl as Howerdel and second guitarist James Iha exchange a series of interlocking guitar figures before cranking up the distortion half-way through. 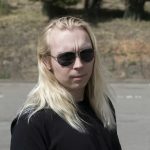 While Keenan may not possess the great range of some of the other notable singers in metal music, he has the uncanny ability to make great use of his voice, adding just the right amount of emotion and grit when he needs it. 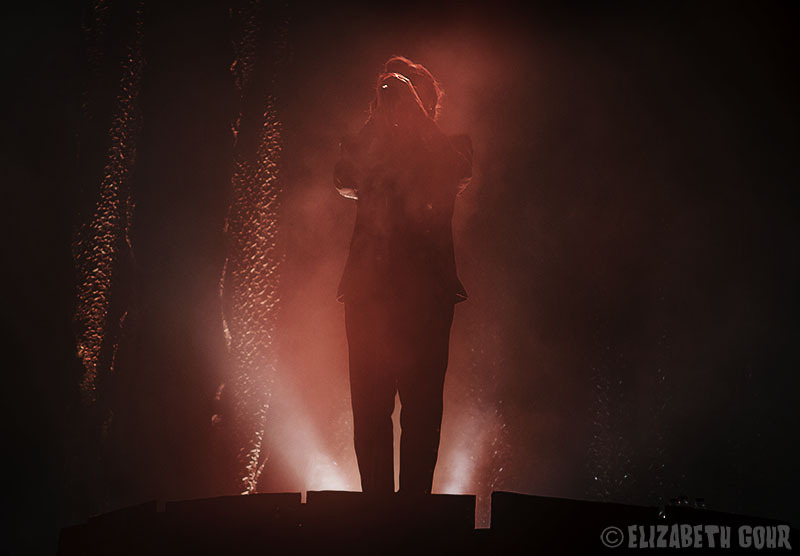 The cloth came down towards the end of the song and an elaborate light show then took its place as the band members all had marked out their own space on stage, with Keenan standing on a raised platform in the middle of the stage, cloaked in shadows. He would remain there for the rest of the concert, allowing for the barrage of lights surrounding him to do the visual work while he focused on signing. An early set highlight came in the form of the stomping “Rose,” a scorcher of a track powered by Matt McJunkins aggressively distorted bass playing and Howerdel’s effects-laden guitar. 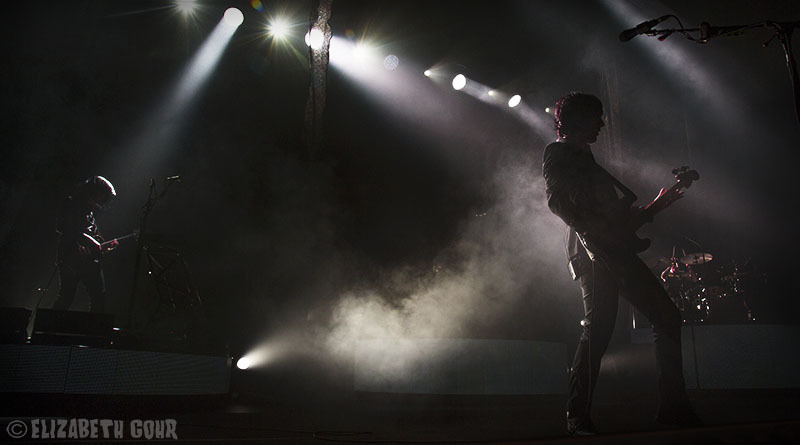 Much like many of A Perfect Circle’s songs, “Rose” skirts the line between serene alt-rock and slashing metal, which gave the song a unique dynamic. Following this was an odd cover of John Lennon’s “Imagine,” which Keenan introduced with a short speech about how musicians are emotional merchants that use music to communicate their own feelings. He also used this time to bemoan the state of politics in the country as he mentioned how much grief they were given after they released a politically themed album (that being eMotive) before launching into “Imagine.” The song barely resembled the original, with the band swapping the key signature from that of an uplifting major to an eerie minor key dirge that featured plenty of textured keyboard playing from Iha. A few songs later the band rolled out yet another left-of-field cover in the form of “(What’s So Funny ’bout) Peace, Love and Understanding” by Brinsley Schwarz, which again featured a decidedly different musical approach than the original with a lead vocal from Howerdel. After a few more classic tracks were played by the band, Keenan thanked everyone for coming out before starting a brand-new song, the gorgeous “Feathers.” The delicate piece again relies on the powerful voice of Keenan with the haunting guitar tones of Howerdel. It served yet another reminder just how impressive A Perfect Circle is at crafting memorable music and it was a fantastic way to close out an epic night of music. 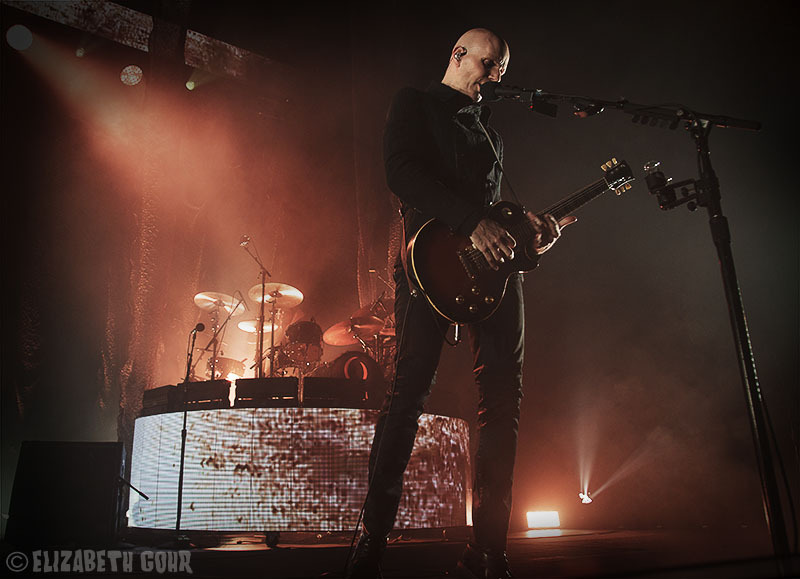 With a new record deal and a new album on its way it appears as if A Perfect Circle are ready to return to full-time duty as a band, as evidenced by their memorable performance. For more information about A Perfect Circle, check out their website.